This fully updated 4th Edition of provides an integrated symptom- and issue-based approach with easy access to high yield clinical information. For each topic, carefully organized sections on different diagnoses, investigations, and treatments are designed to facilitate patient care and examination preparation. Numerous clinical pearls and comparison tables are provided to help enhance learning, and international units (US and metric) are used to facilitate application in everyday clinical practice. The book covers many highly important, rarely discussed topics in medicine (e.g., smoking cessation, obesity, transfusion reactions, needle stick injuries, code status discussion, interpretation of gram stain, palliative care), and new chapters on end-of-life care and depression have been added. 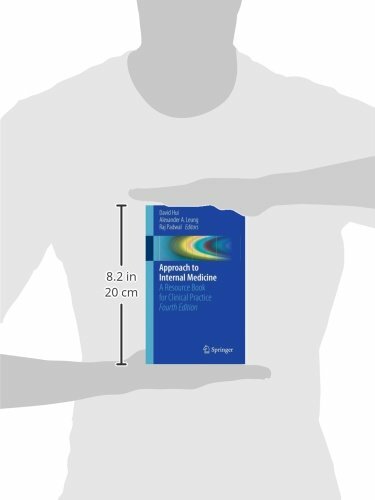 The fourth edition includes many reader-friendly improvements such as better formatting, intuitive ordering of chapters, and incorporation of the most recent guidelines for each topic. 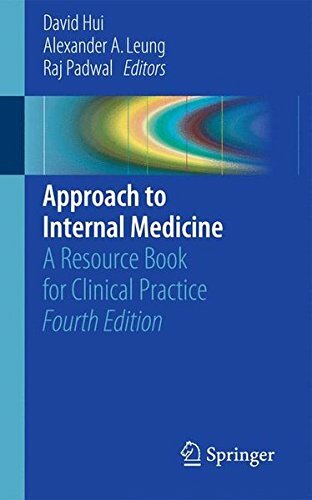 Approach to Internal Medicine continues to serve as an essential reference for every medical student, resident, fellow, practicing physician, nurse, and physician assistant.